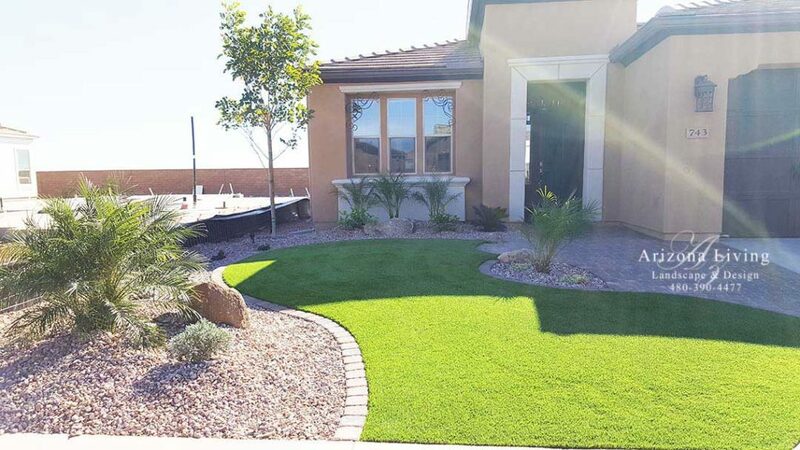 Are you looking for a tropical look without all of the work? 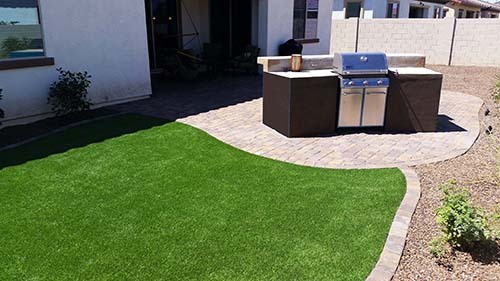 Synthetic grass or artificial turf may be the answer for you. 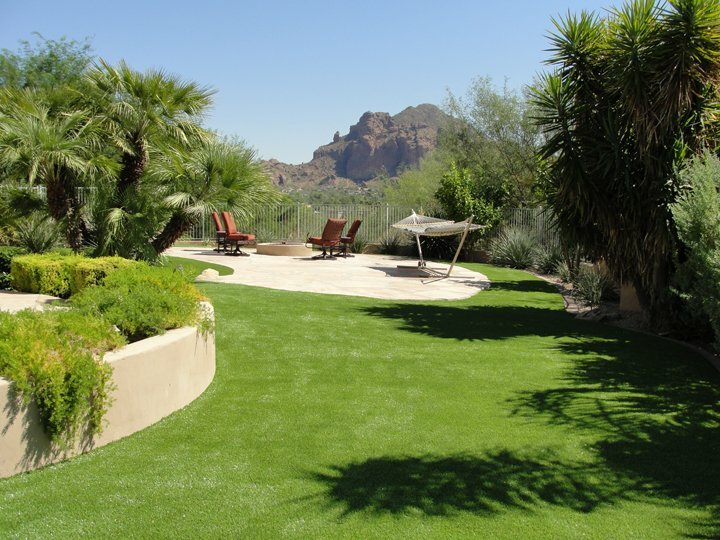 Today’s synthetic grass has come a long way and looks more natural and is more durable than ever before. 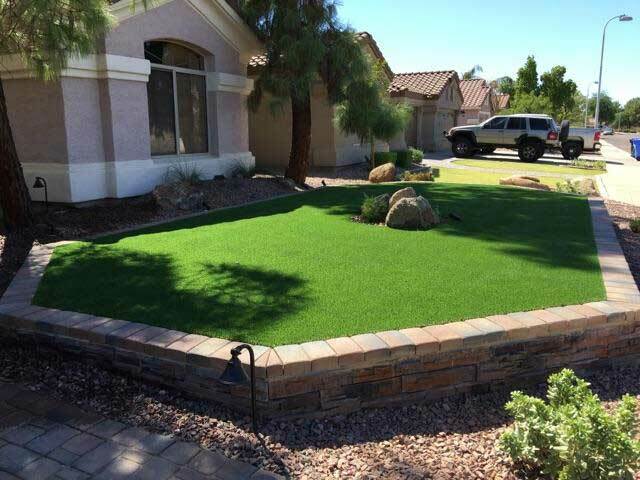 These turf lawns can withstand the impact and heavy use of families, pets, and children. 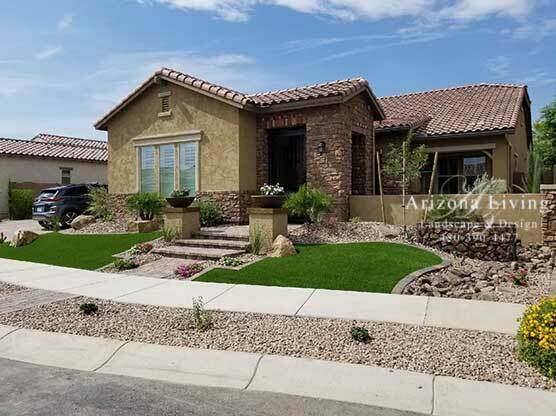 Have pets? 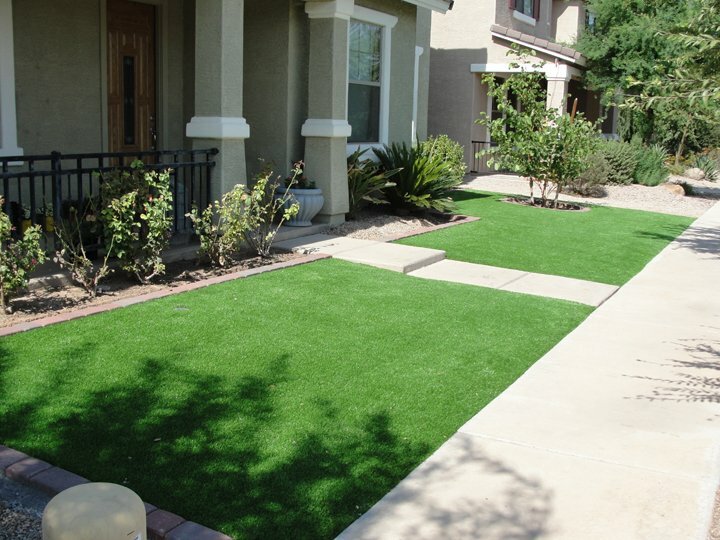 Well, the new turf drains so pet accidents will wash right through. 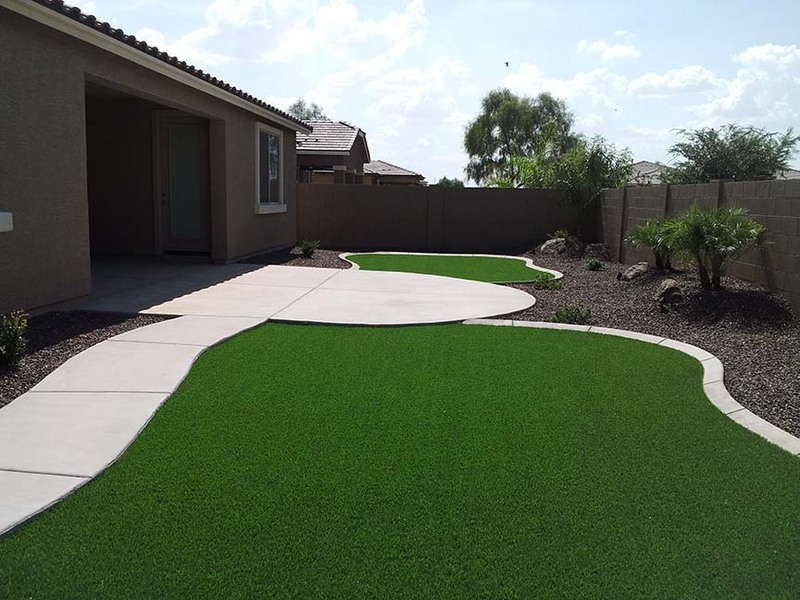 Furthermore, the fibers and infill material will not absorb or retain pet waste odors and are environmentally friendly. 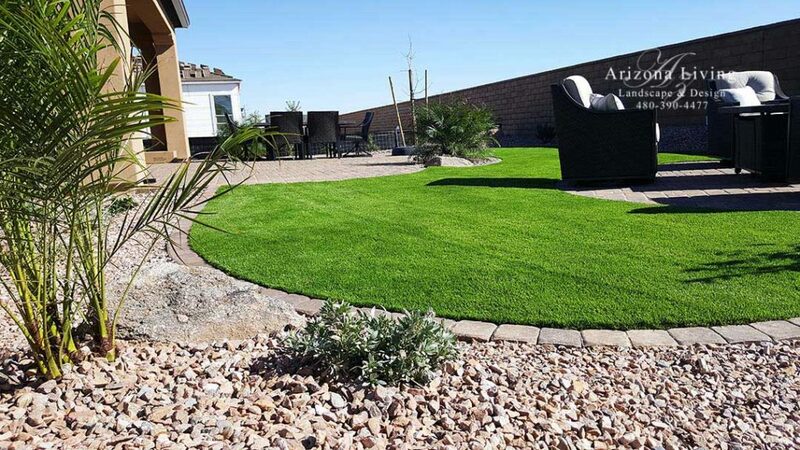 You can wash them with a garden hose and periodically rake them for a perfect lawn year round. 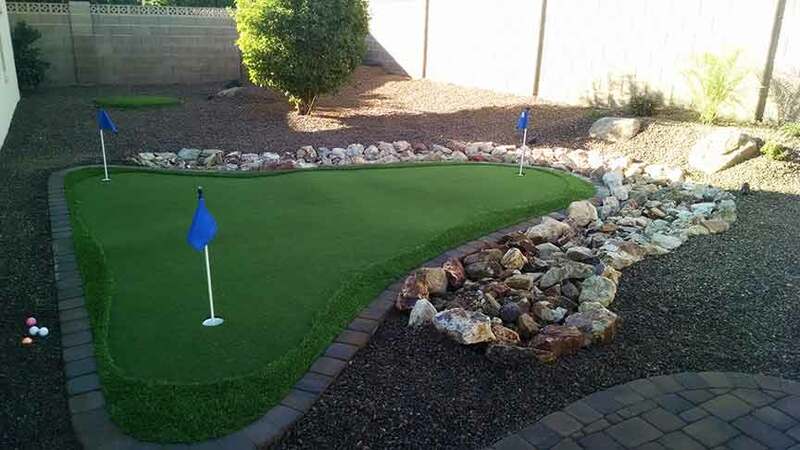 Are you a golfer who wants to work on your game in the comfort of your home? 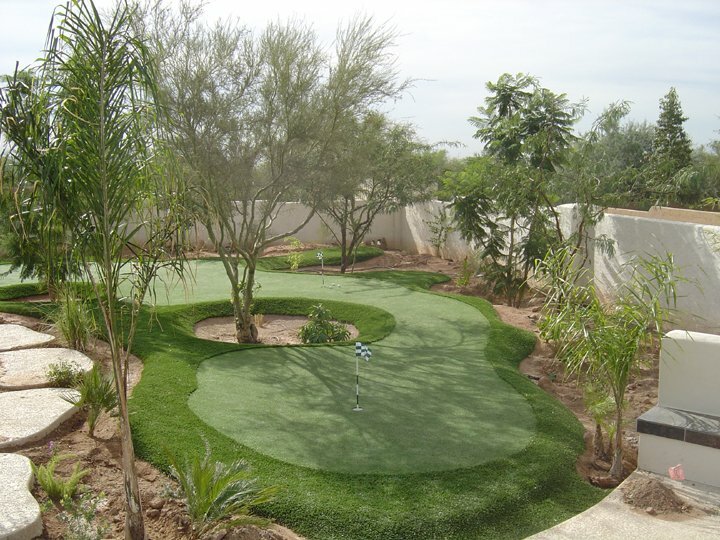 Then a backyard synthetic putting green designed around your needs and skill is just what you need. 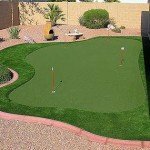 Your family and friends will enjoy hours of fun with a putting green. 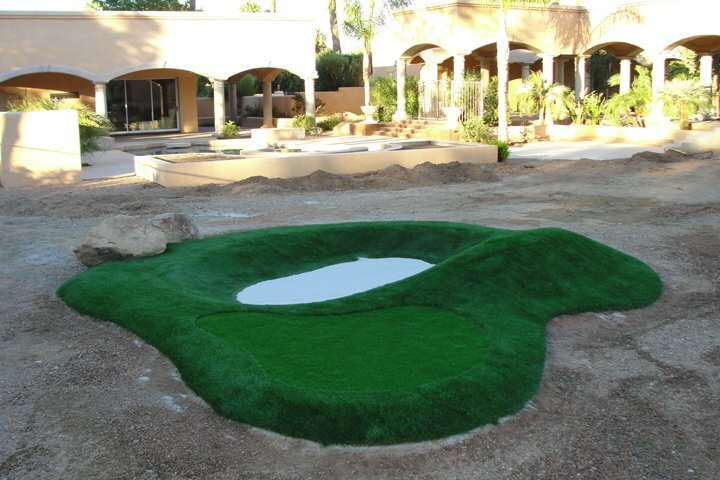 Arizona Putting Greens can be designed with bunkers, chipping platforms, fringe, and contoured hills and mounding to challenge any golfer. 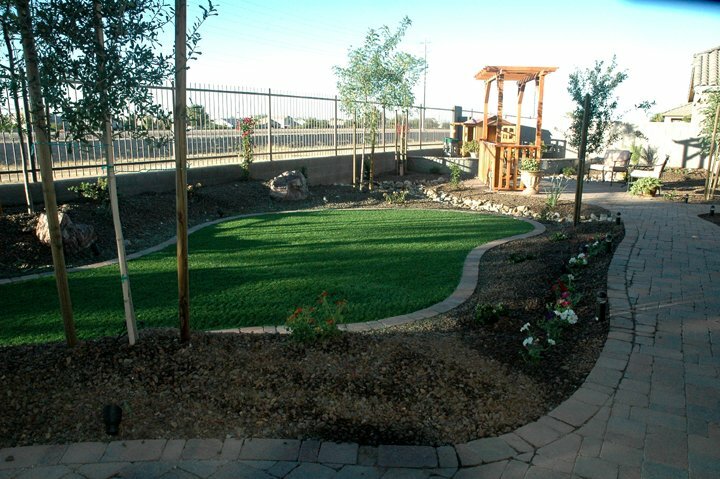 Are you ready to transform your back yard landscape today? 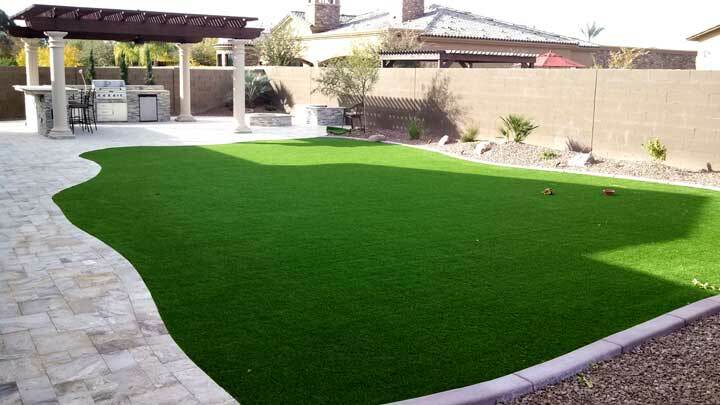 Call us for a free quote on your Putting Green or Synthetic Grass project. 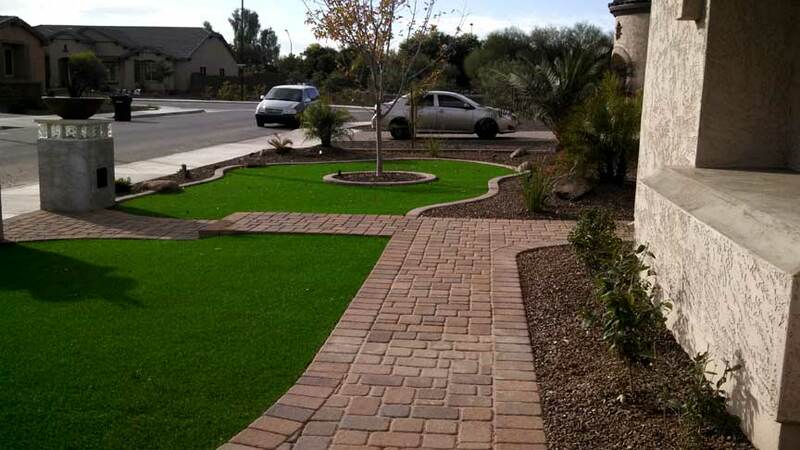 Check out our landscape specials. 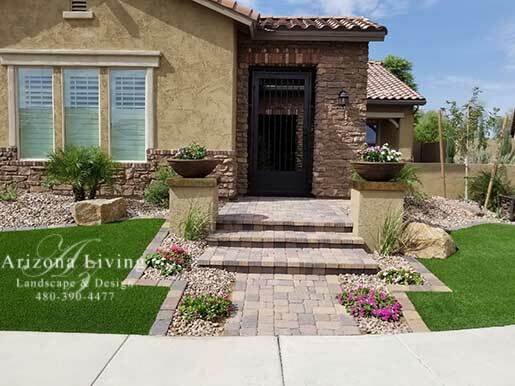 Backyard Landscape with Synthetic grass, travertine tiles, Built-in BBQ with cultured stone, fire pit, and pergola.